Compared to other forms of outdoor advertising, vehicle wraps may be the most cost-effective. 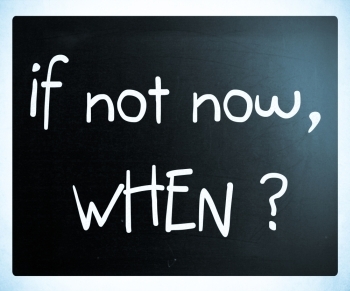 For a one-time investment, business owners can use them between 5 and 12 years (depending on weather conditions and care measures). However, the vehicle templates design must be close to perfect if they want to be successful like this article explains. With the increasing number of cars on the road, it can be difficult to stand out. This is where your work as a designer comes in. Don’t rely solely on Vehicle templates. Getting vehicle templates online is recommended because it saves you time, but you should also see the vehicle. 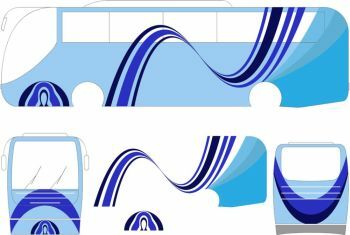 Remember that vehicle wrap templates will provide you with a dimensional outline and the digital canvass to work on. But, they will not alert you if customizations have been done in the vehicle. So, you should definitely see the vehicle and take measurements before printing and cutting the design. If you do it after discovering that a custom bumper has been installed, you may work again from the start and lose valuable time and money. Don’t rush headlong into your design. Although the urge to design and create immediately is strong, fight it! Communicate with your client first. Find out what they want and pay attention to specific details. 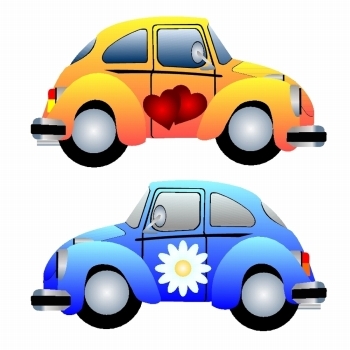 Create cool car wrap designs that either meet or exceed their expectations to avoid unnecessary reworks. Don’t overcrowd your design. When designing vehicle wraps, keep it simple. Do not overcrowd your design with imagery and other art elements like the one from www.signsilo.com. The most effective vinyl graphics for cars are colorful and dynamic, but highly sophisticated in terms of design and composition. So, keep your design simple, eliminate noisy background and allow the brand message to stand out. Don’t put too much advertising copy. Too much copy can be distracting on car wraps because potential customers can only see it briefly. As a designer, try to keep advertising copy to a minimum. All you need to include in your design are contacts details, brand identity and maybe a short message. Don’t disregard the needs of your client. Your client is your partner in creating great vehicle wrap designs. Communicate with them effectively by not only giving sound advice but also listening to them. Ultimately, they are the ones paying for your service so you have to make sure that they are satisfied. Knowing the things you should do to create amazing car wrap designs is important, but so is learning about the things you should avoid. The design is one of the most important aspects of the vehicle wrap. To create aesthetically pleasing and effective wraps, follow the above tips. Keep in mind that your clients are putting their trust on you. Keep it intact by communicating with them every step of the way. Know what they want and meet or exceed their expectations. When Do You Need a Custom Vinyl Graphics? There are millions of models, makes and special editions for every vehicle. So, what happens when there are no vehicle graphics templates? Vehicle wrap designers usually use a template. That’s how they know what size to print the graphics for the wraps. They ask for the model and the make as a rule of thumb. If special modifications are required, the car is usually brought a few days early to measure every nook and cranny. This means a template is custom-made. Unlike more costly media, vehicle wraps work 24/7 for up to seven years, making it a good investment even for small businesses. According to the Outdoor Advertising Association of America (OAAA), they offer the lowest cost-per-impression at about 4 cents per thousand. A single car wrap can generate between thirty and eighty thousand impressions per day. Other marketing benefits include local targeting, brand consistency, and strategic and creative versatility. If you vehicle is an older make and a van wrap template is not available. Not all vehicles fit the vehicle wrap design templates available with the designer. For instance, your car model was discontinued two decades ago and there’s simply no similar template that the designer can make to go by. Also, many classic cars have no templates. An estimate would be necessary to get you in the ballpark. Special sport packages may require some foisting. Other additions such as a spoiler must be accounted for. Specially modified vehicles also require custom vinyl templates. The design needs to be decided and adjusted during the wrap printing in order to fit the modification. While you can make your own car wrap design, we still recommend you turn to the experts. You don’t have the experience they have. Besides, you don’t have to let them take over the project. You can be partners to achieve the design you want for your business. Many providers offer awesome vinyl ready designs and pro vehicle templates. You can be sure your goals will be met. Why is it important to choose the right car wrap design? A well-design wrap and sign reinforce your brand identity. It is a bold way to introduce your company to thousands of people. An effective wrap design is eye-catching. It immediately delivers the most important information about your business. So, you have to keep it short and make it clear. Keep in mind that drivers and passengers only have a few seconds to take in your vehicle wrap design. So, you have to strike the balance between attention grabbing and distracting. Vehicle graphics and car wraps are a fresh way for all types of businesses to advertise. As two dimensional objects, car wrap templates can present a challenge but it can be overcome with experience and the right tools. Vehicle templates are a good start for vehicle wrap design. Thousands of templates are available for every year, make and model. 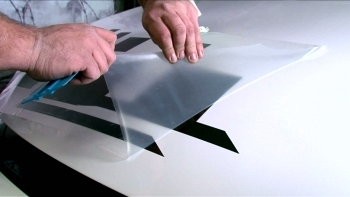 Each template offer a representation of the vehicle’s parts, making the installation easier.